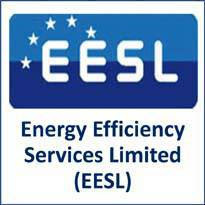 Energy Efficiency Services Limited (EESL) Published Recruitment Notification for Assistant Manager (Business Development), Automobile Engineer, Assistant Manager (PR), Officer (PR), Assistant Engineer Grade III, (Technical), Assistant Officer Grade III (Finance), Assistant Engineer Grade III (Contracts) and Assistant Officer Grade III (PR) Posts. Qualification : Graduate with 2 years Post Graduate Degree / Diploma in Marketing Preferably in International Marketing / Business. Qualification : B.Tech. in Automobile Engineering. Qualification : Graduate with 2 years Full Time Post Graduate Degree / Diploma in Journalism / Public Relations / Mass Communication (AICTE / Government Approved). Qualification : Diploma in Engineering / Technology (Full Time).